Discussion in 'Luthiery, Modifications & Customizations' started by Bearitone, Oct 3, 2018. For a company so into their neck joint design they sure as heck can't be bothered to take pictures of it. I know! I literally couldn’t find a picture of it. Yeah, I checked their website, FB and tried to just do some Google-fu: nothing. Not even a side shot. My guess is a very compact step-down carbon fibre neck that extends under the neck pickup. So that weapon brand is definitely related, just not exactly sure how far. One of the Liutus endorsees runs the www.weaponguitars.com it seems. Even then they don't really show it. Zhysick and Bearitone like this. On a tangent with the Weapon but there is a neck joint shot. I think it lines up with the last fret, so ergonomic? Its not filling the palm but its not fattening up under the frets either. No joke, they've managed to elude the 2018 internet. I’m baffled. How the f- are they attaching that neck? Not sure, set-thru style with that blocky tenon? 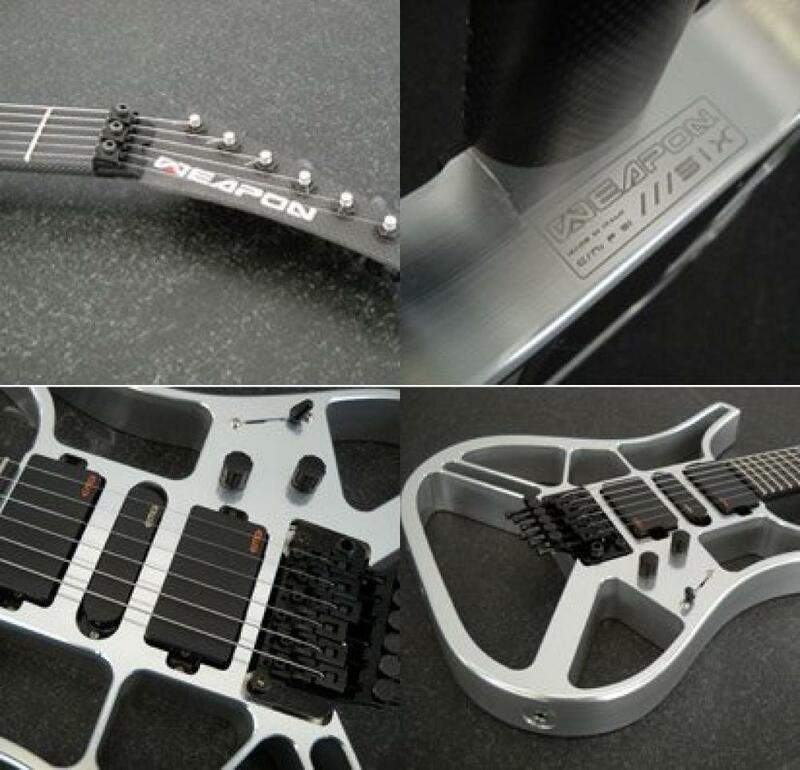 I love hi-tech things, I love guitars, I love carbon fibre... I love that Weapon guitar. Look at old Yamaha Pacifica models, the heel is just a big flat block, but it's extended back so far you don't run into it. 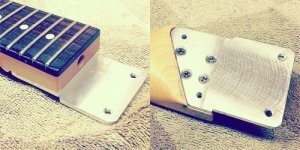 Exactly, Yamaha introduced the « total access neck joint » on their early 90s japanese models. You have literally no heel pocket in your hand so bending the upper fret on my 912j model feels like bending any other high fret. The top 5 frets still have obstruction behind them. There's an assumption being made often with designs that when you play the highest notes: Your hand is in the conventional orientation and you are fretting the note with your little finger or the one next to it, such that your thumb is at least 2 inches away from the fretting finger, such that 2 inches of obstruction on the back of the neck is considered acceptable. This is an understandable compromise mainstream guitars make based on conventional technique. But it's quite possible you will have your thumb directly behind the fretting finger, and/or have your hand in an unusual orientation to play a difficult chord (of course the mainstream assumption is that all that players do high up is 'widdly-widdly-wee-wee-wee' stereotyped guitar solos). I asked Liutus guitars for more photos and details, we'll see. If you look at the front of a Pacifica and then the back with this joint, it might traverse two frets, maybe 3. On my 612 i can play to the last fret on the bottom string with my index or pinky without an issue. If i compare it to any of my Ibanez's, the Ibby's lose hard on fret access. They're not even in the same league. My definition of obstruction is anything other than neck at it's thinnest. Looking at that construction photo it's roughly 3 for the highest string and 5 for the lowest. Defyantly, odibrom, Bearitone and 1 other person like this. Those metal framed guitars look like they would weigh a ton unless made with aircraft grade aluminum. I wonder what kind of tone that imparts as well does it resonate well with a carbon fiber neck attached to it?